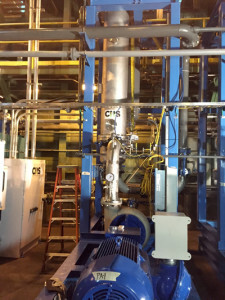 CRS Tough Ultra Filtration (TUF) Technology is a proprietary, highly engineered cross flow filtration system. During the cross flow filtration process the feed stream (used fluid) is filtered into a permeate (re-usable fluid) and a concentrate (contaminates). The degree in which filtration occurs is based on the membrane porosity. The TUF system can be configured as microfiltration, ultrafiltration or nano-filtration. Clean fluid and additives pass through the membrane while the contaminates remain in the feed stream. Depending on the objectives, the contaminates can then undergo another filtration process or continue to be processed using another filtration/separation equipment process. 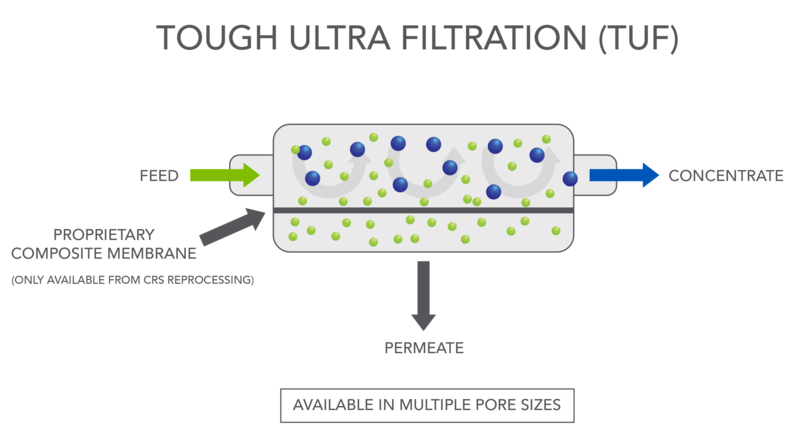 The TUF Filtration process can be used with multiple fluid types. Within CRS, this technology has been successfully used on all fluid types over the past seven years. Incorporation of the TUF system will eliminate hazardous filter aids associated with stack and candle filtration methods. 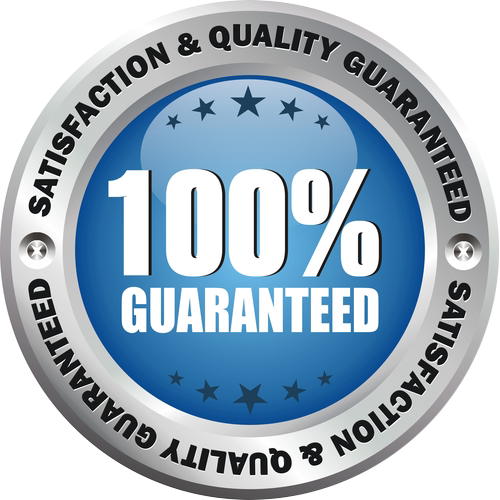 This eliminates the operating cost associated with spent media disposal. The TUF membranes are regenerated using a clean-in-place procedure that is specifically developed for your application.